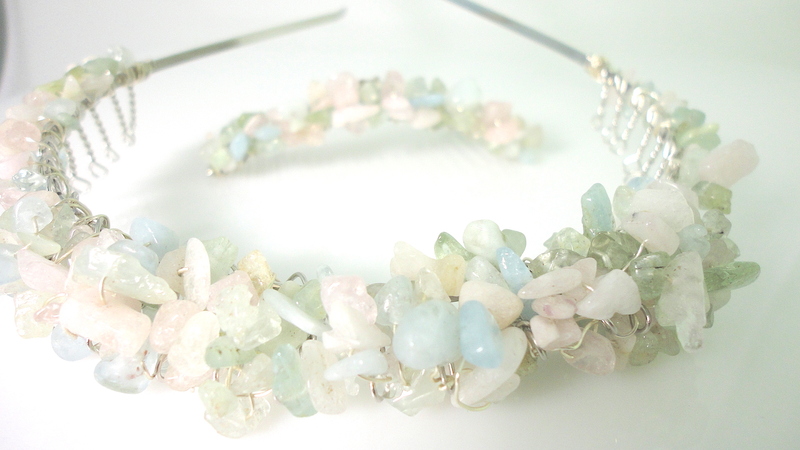 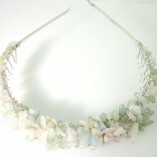 This ethereal tiara/headband consists of genuine pastel gemstones from the Beryl family. 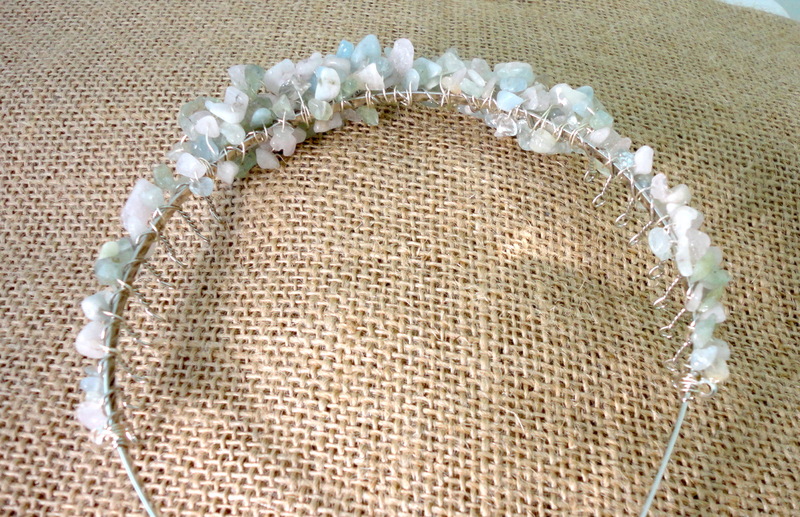 Emerald, Aquamarine, rare Morganite, Goshenite and the soft golden tones of Heliodor and Golden Beryl are precious gemstones This is a feminine, natural, organic tiara and the inner glow of these genuine gemstones come to life in daylight. 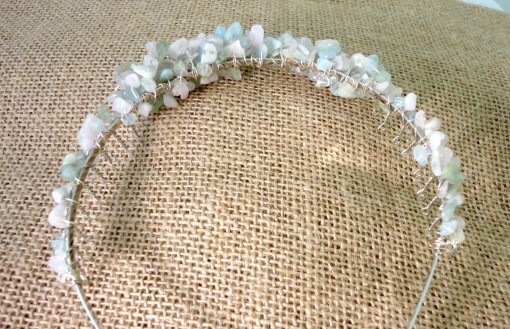 This ethereal tiara/headband consists of genuine gemstones from the Beryl family. 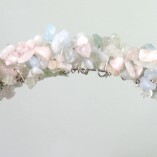 Emerald, Aquamarine, rare Morganite, Goshenite and the soft golden tones of Heliodor and Golden Beryl are precious gemstones This is a feminine, natural, organic tiara and the inner glow of these genuine gemstones come to life in daylight. 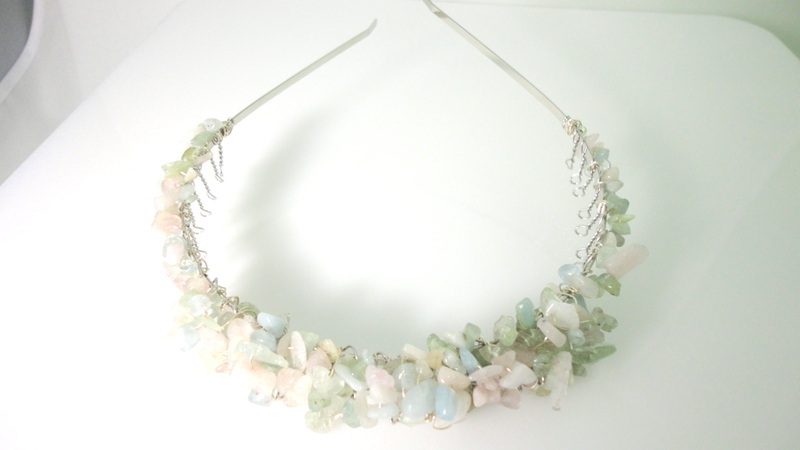 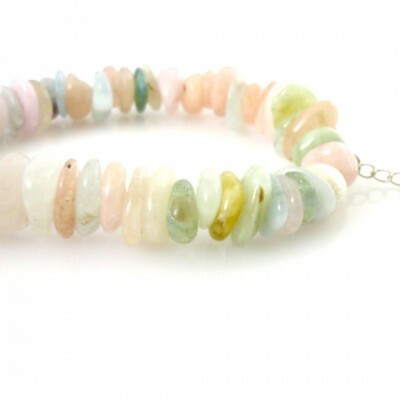 The gemstones are twisted and wrapped using silver plated wire onto the headband. 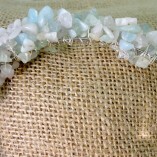 They are not glued so will not drop off. 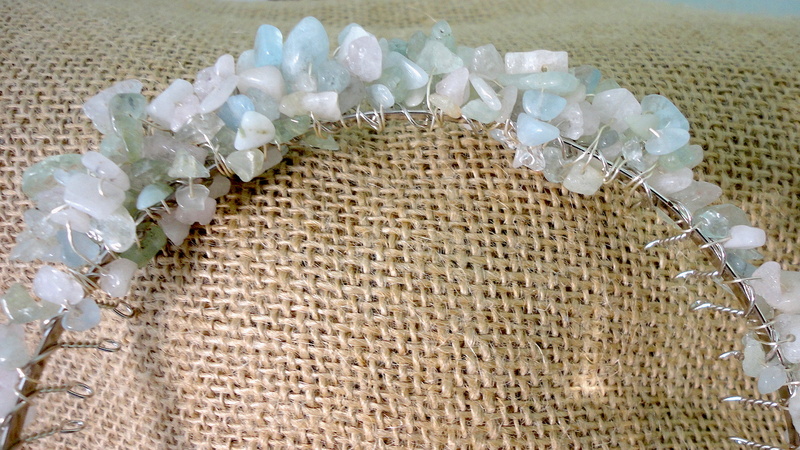 The headband is silver coloured metal and very comfortable to wear. 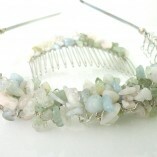 It will sit easily in your hair as it has metal combs which slide easily into the hair. 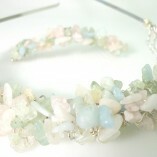 The ends are softly rounded so are not sharp and will not dig into your head and will not slip out easily. 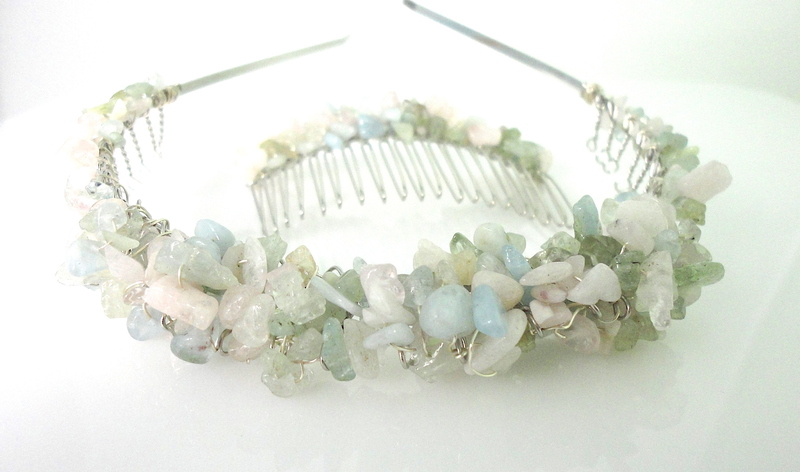 You may be also interested in the matching hair-comb. 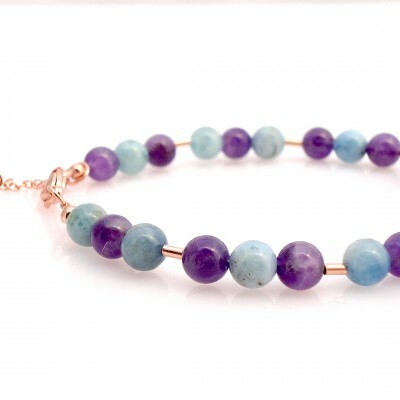 The gemstones are all ethically mined. 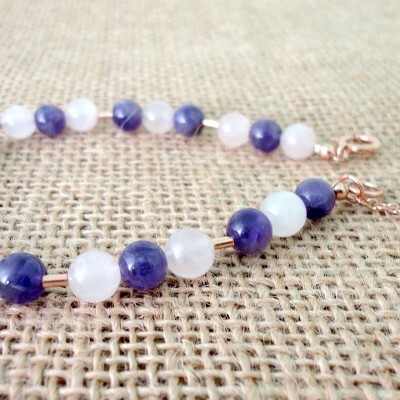 and gives us strength and power (yellow).